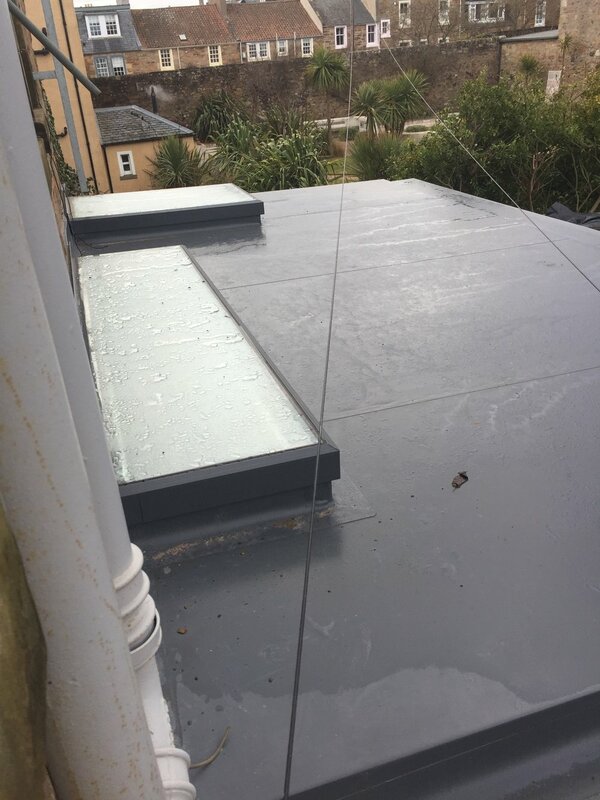 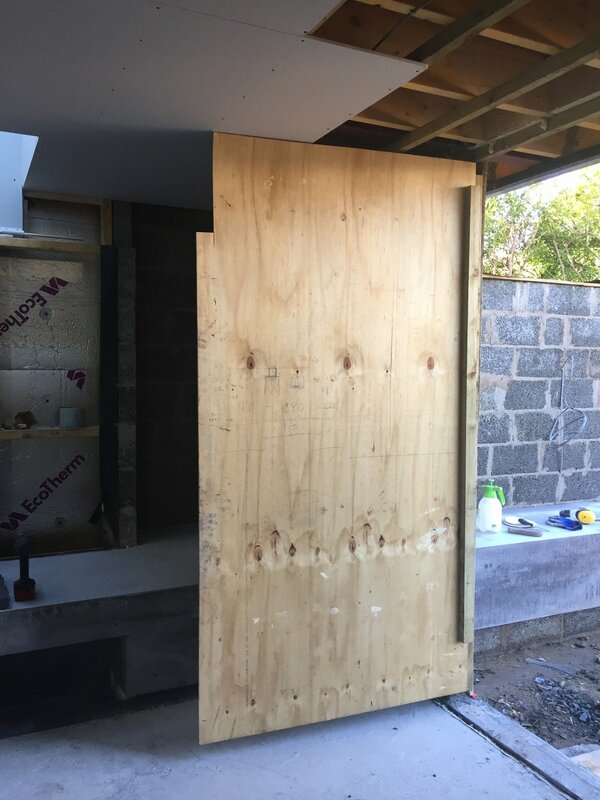 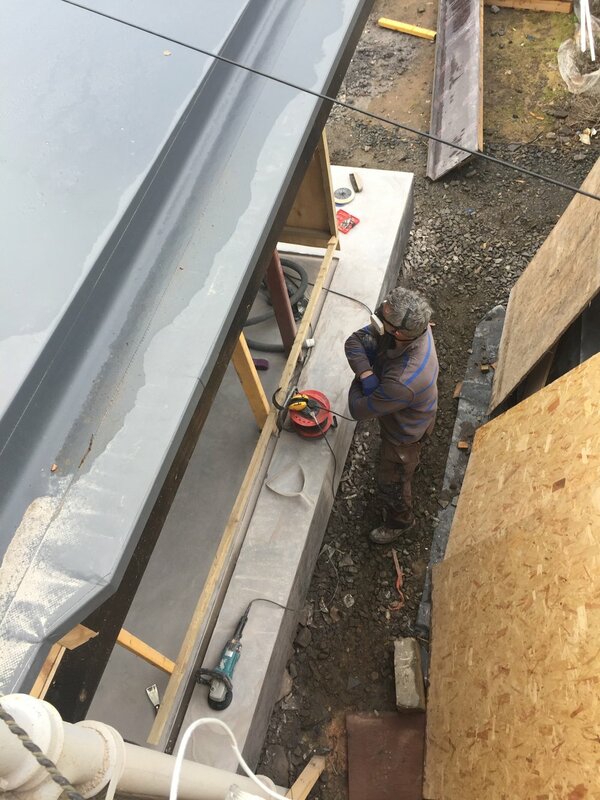 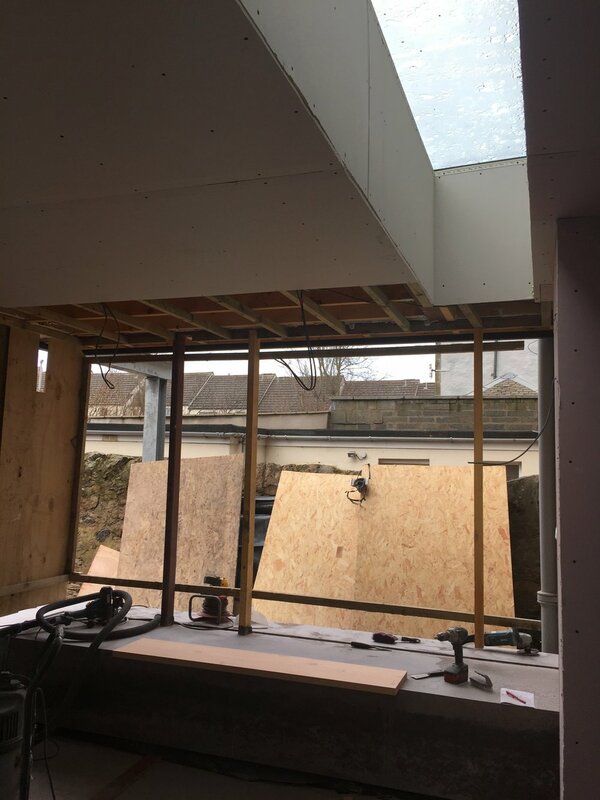 Green Olive have really been progressing things on site in the last few weeks with the two rooflights installed, plasterboard and skim coats going on and the formwork around the concrete benches removed. 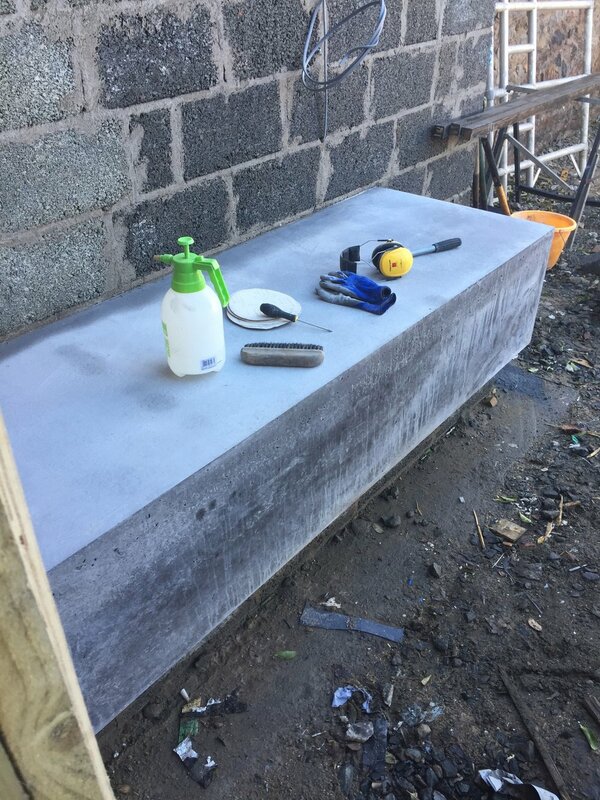 Jeremy Jackson of Counter Productive has been working magic on the concrete benches by filling little holes and polishing them up before the glazing goes in. 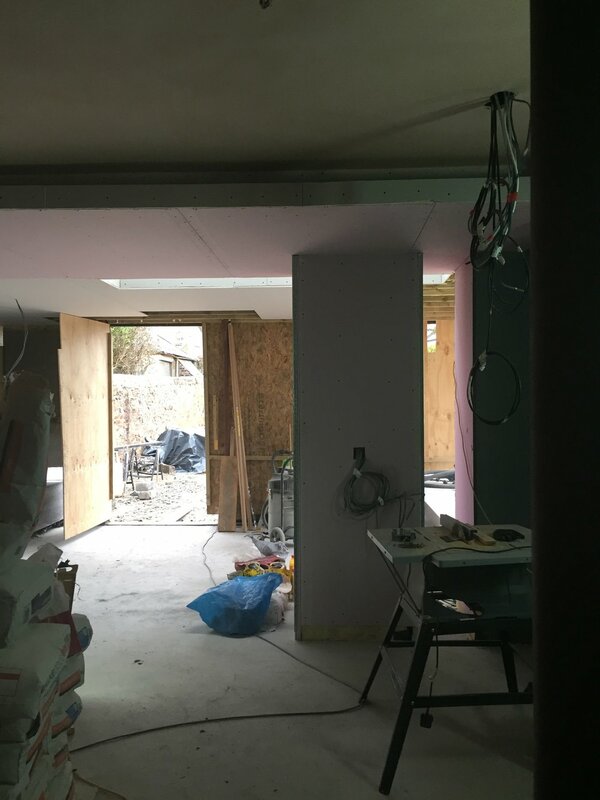 And, before we forget, the Dinesen has arrived on site too!